Today’s blogging prompt for NaBloPoMo asked: What are your thoughts about tomorrow’s election in the United States? Despite my best efforts, I wasn’t able to vote absentee in Virginia, so I’ll be toughing it out at the polls tomorrow. I’ll be voting for Obama just like I did in 2008, not out of some fierce blind loyalty to Barack the man, but because I agree with most (not all) of his values and policies. I wouldn’t even think about voting for Mitt Romney, but for a while I did consider voting for a third-party candidate. Ultimately, I would love to see a system where Americans have a louder voice in the process and a real choice of more than two parties. I can’t stand the “us vs. them” rhetoric. It makes me sick. I’m not voting Democrat. 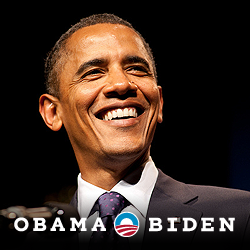 I’m voting for the continued progress that I hope will happen under another four years of Obama. But I’m not all up in arms about it. It doesn’t make sense to be. If Romney “wins,” my quality of life could eventually be diminished as a black woman, but for the most part, MY day to day life will look pretty much the same under either candidate. It’s interesting how so many people get hysterical about voting. Come hell or high water, we’ll cast our ballot for an election that only happens once every four years, while our personal affairs remain in shambles. Do I think voting for Obama will fix my life? Nah. Not even Iyanla Vanzant can do that. We have to be the President of our own lives – to participate fully in the change we want to see. Tomorrow’s election is a big deal, but I’m actually more interested in what happens on November 7. Will we start to make courageous decisions to improve our own lives? Will we begin treating each other better? Will we commit to playing an active role in our communities on a regular basis? Will you stand in line three hours to vote and continue to neglect your own dreams? Will you watch the nonstop election coverage on TV, yet refuse to do just one thing to advance your career or heal your relationships? Will you get up at 5:00am to make it to the polls but won’t wake up a little earlier every day to work on your side hustle? No President can or will dramatically change your life – you have to do that yourself. Obama is not making sure my consulting business is successful or paying any of my bills. He’s not walking beside me to make sure I exercise and make healthy choices. And he’s definitely not helping me find a man. What I want for election day is for everyone in the U.S. to vote, not necessarily to elect Obama but to preserve the right to be heard in the political process. But more than that, I want people to see that who you choose to lead your country is important, but not as important as who you choose to lead your life.